Celebrate! And celebrate we did, in style, at Crest Hollow Country Club’s Coral Beach. It was the perfect setting for our mid-August festivities with lots of food, fun and games, lovely waterfalls and exotic palm trees all around us and sand between our toes. 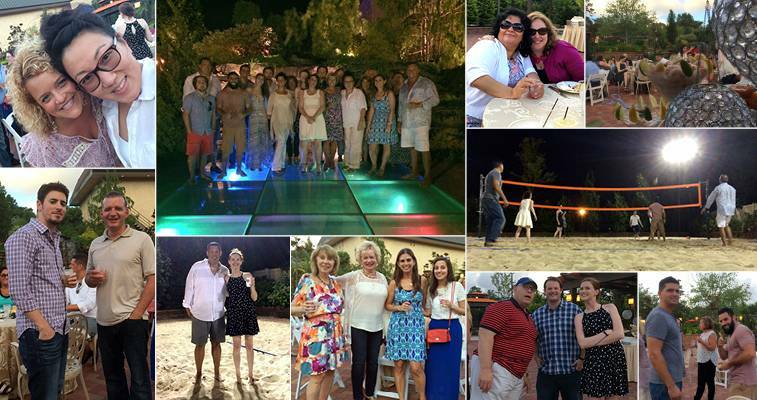 Our more energetic colleagues kicked off their shoes and ended the evening with some very exciting (if not exhausting) games of beach volleyball, while the rest of us cheered them on. It was a very happy hour (or three) for one and all!